Trilogy at Monarch Dunes is a lifestyle community with an amazing clubhouse, golf course and spa. From the sunny beaches of Southern California to the lush beauty of Washington, the West Coast offers a number of fabulous retirement destinations. Both age-restricted and age-targeted communities are abundant, letting active adults choose the resort-style community which bests suits their needs. Open to residents of all ages, Trilogy at Monarch Dunes offers spectacular amenities, beautiful grounds and homes in a wide range of styles and sizes. Just a few highlights of the community include 30 holes of golf at the Monarch Dunes Golf Club, a state-of-the-art fitness center with TechnoGym equipment, the full-service Sandalwood Spa and a diverse range of classes at the on-site Center for Higher Learning. With over 12,000 homes, Laguna Woods Village has the distinction of being the largest 55+ active adult community on the West Coast. This sprawling development was built from 1963 to 1986, allowing for homes in a wide range of styles. The community is just 10 minutes from the beach, while on-site amenities include seven clubhouses, five swimming pools, 36 holes of golf, an equestrian center and many additional recreations. Talega Gallery is an intimate, gated enclave within the larger Talega community. The development has its own recreations centered around a beautifully appointed clubhouse, yet residents also have access to the Talega Swim and Athletic Club, as well as the 18-hole Talega Golf Course. The community has just 283 upscale residences, including both single-family and attached home designs. Nestled in the Coachella Valley, Sun City Palm Desert was the first 55+ community in the Palm Springs area. The community was built by Del Webb to offer the finest in resort-style living and easy access to nearby shops, restaurants and attractions. World-class amenities feature three clubhouses, two championship golf courses and a wide range of social clubs and activities. 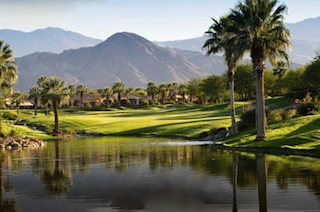 Indian Ridge Country Club boasts breathtaking mountain views in sunny Palm Desert, California. Indian Ridge Country Club is an impressive community with a prime Palm Desert location. With just over 1,000 homes, this mid-sized development includes plenty of exciting activities. Residents can enjoy the amenities at the spacious clubhouse, work out at the state-of-the-art fitness center, relax in the full-service spa or meet friends for a casually elegant meal. Indian Ridge Country Club also features two 18-hole golf courses, swimming pools, sports courts and a dog park. Opened in 2005, Andalusia at Coral Mountain offers upscale living for discerning homebuyers. The community is open to residents of all ages, but active adults will particularly enjoy the community's resort-style amenities. 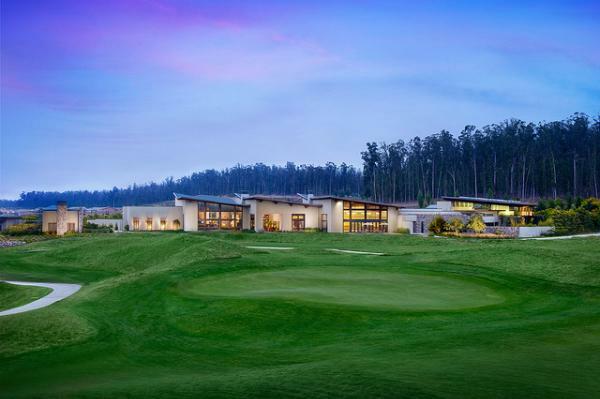 Highlights include an 18-hole championship golf course, a state-of-the-art fitness center and on-site dining at the Tapas Restaurant. Upon completion, Andalusia will contain about 700 single-family homes. Just 30 minutes from downtown Seattle, Trilogy at Redmond Ridge was designed by Shea Homes to create a healthy, active lifestyle for residents aged 55 or better. The spacious clubhouse serves as the central hub of community activity with amenities such as a fully equipped fitness center, an indoor swimming pool, hobby and game rooms, a full-service spa, tennis courts and a learning center. The community also boasts the 18-hole Golf Club at Redmond Ridge. With spectacular views of Mt. Rainier and easy access to the Puget Sound, Jubilee at Hawks Prairie provides a beautiful retirement location. Residents can enjoy reduced rates at the 36-hole Golf Club at Hawks Prairie or explore the line-up of amenities and activities within the spacious community clubhouse. In addition to the indoor hobby and game rooms, fitness center and social areas, the clubhouse also offers outdoor recreations such as a winding trail system and courts for tennis, bocce ball and basketball. Fabulous communities like these, located throughout the West Coast, make it easy for active adults to find a retirement destination that they will truly love.